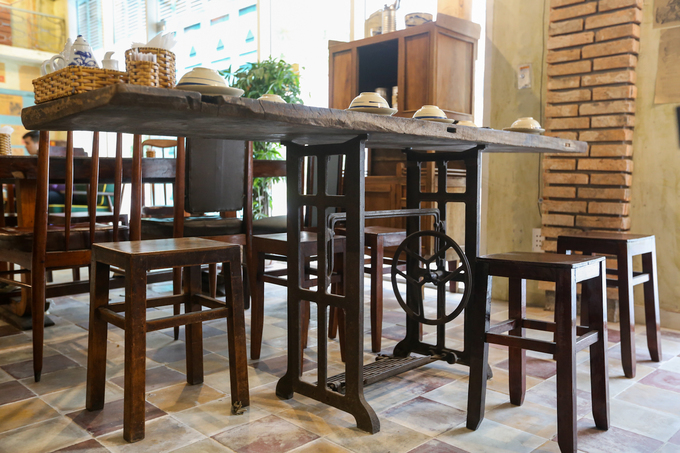 An avid collector of antiques has put them all on display in a café, each item a conversation piece. 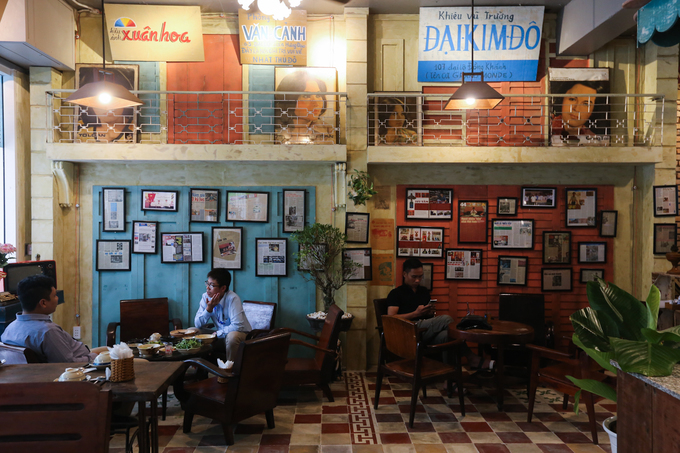 The latest entrant in a series of cafés that offer a nostalgic look at the past is one that has opened on Nguyen Co Thach Street in Saigon’s Thu Thiem new urban area in District 2. 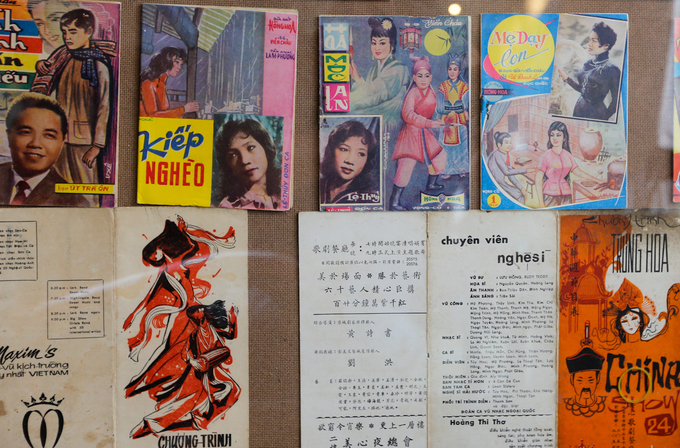 Most of the items on display have a strong connection to Saigon’s past, and this extends to its furniture and floor tiles. 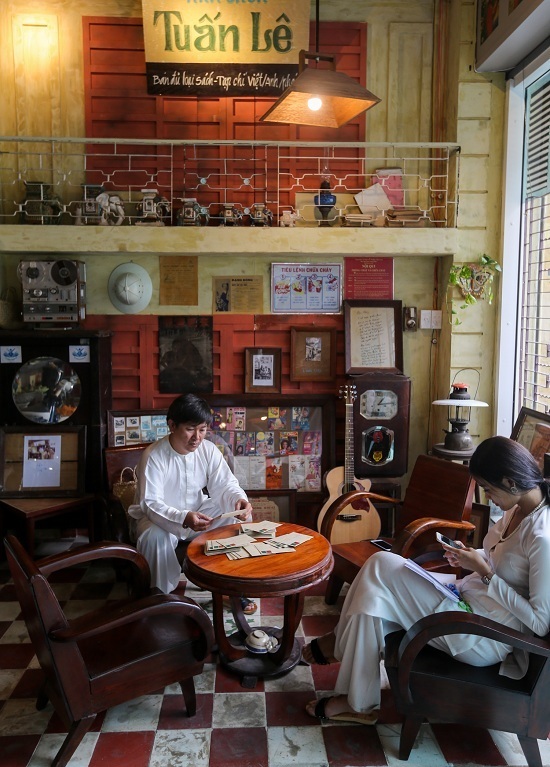 An avid antique collector, Huynh Minh Hiep (man in the white silk shirt) spent decades collecting common objects used by Saigon residents in the past. 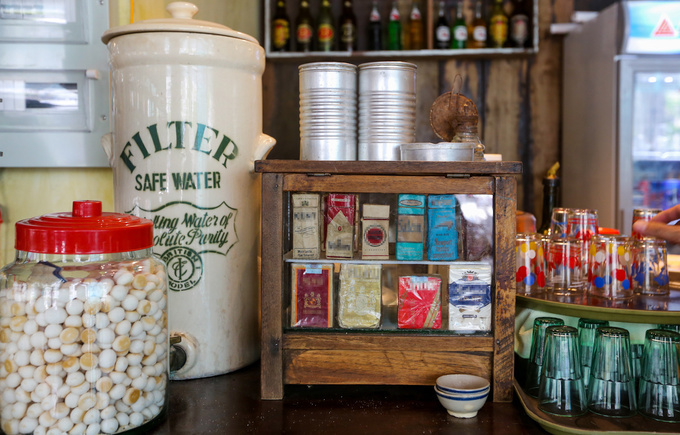 When he opened this coffee shop, he had over 2,000 artifacts used from the 30s to 70s. 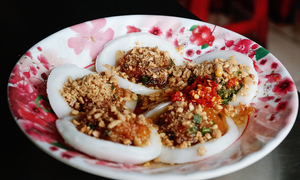 “It took me an entire month to set up the interior and decorate the walls to create that old and exquisite Saigon vibe for the café,” Hiep said. The bar holds many daily use items like cigarette boxes, aluminum cans, a ceramic water filter and mini glasses. These items are very rare, Hiep said. 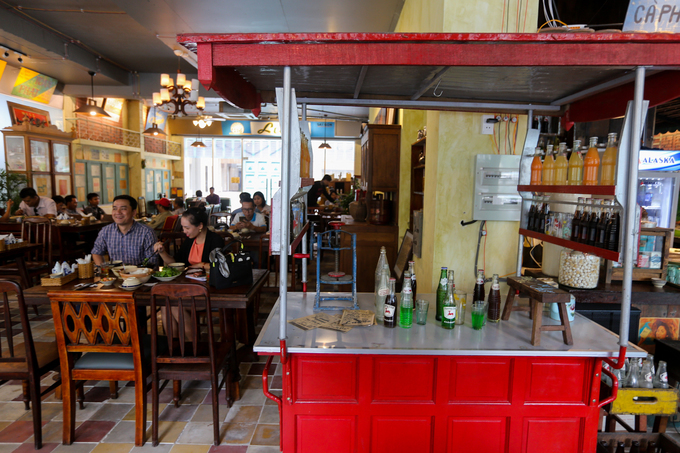 A refreshment sidewalk shop from old Saigon, holding green glass syrup bottles and an ice shaver is one of the highlights in the cafe. 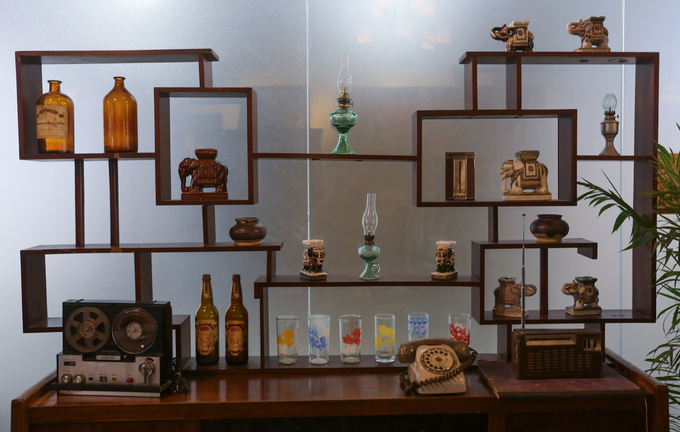 A shelf that displays items found in a typical Saigon living room in the past: a dialing telephone, a cassette player, an oil lamp and liquor bottles. 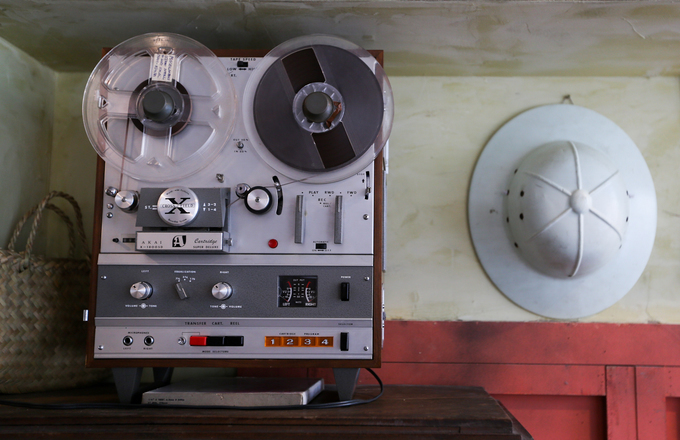 This Akai cassette player is from the 70s and works just fine. “The murky, lo-fi sound that comes from this cassette player has a charm that is hard to explain. I often play old famous love songs on this player in the café. 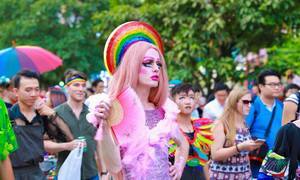 People love it because the sound is very real and rustic,” Hiep said. 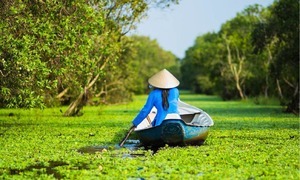 Old Saigon comes to life in these wall posters. This is a Motobecane Pony motorbike produced in 1936 with full registration. “This was a gift the French Resident Superior gave to Ngo Dinh Thuc, the brother of former prime minister of the puppet Saigon regime, Ngo Dinh Diem. 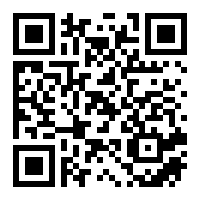 It took Hiep a lot of time, money and effort to get this motorbike. 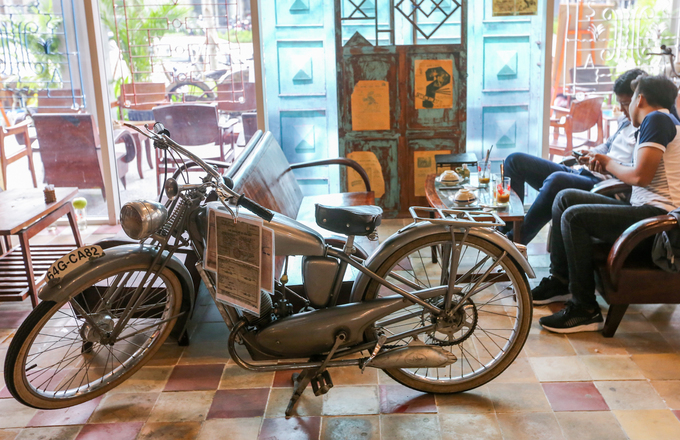 At the entrance of the café is a 1940 Peugeot cyclo, a symbol of the 60s in Saigon when cyclos were the main mode transportation. 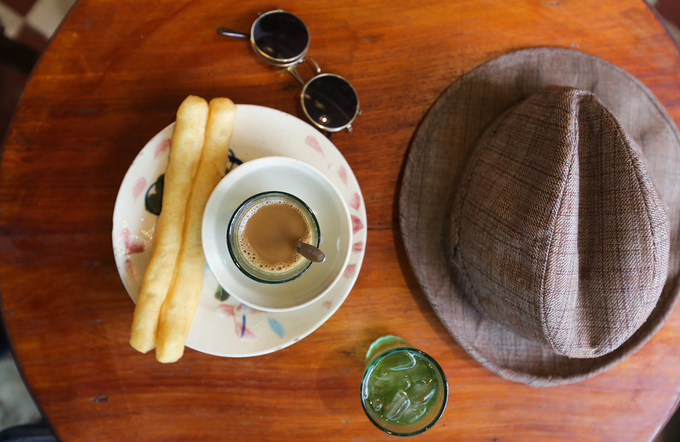 The café serves fried churros with milk coffee, once a snack for a typical Saigon afternoon. “I live in this area so I stop by here often to have lunch and coffee. 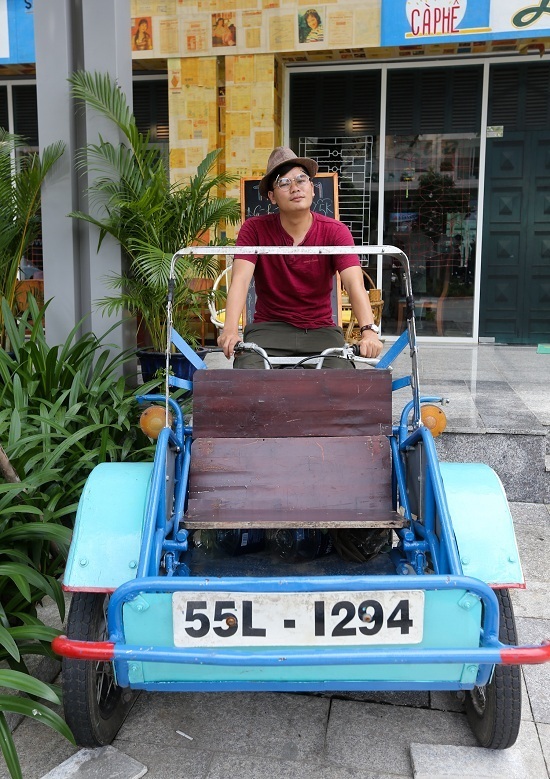 For me this is the best antique coffee shop in the city because of its wide space and diversity," said Thanh Tai, a 30 year old customer. 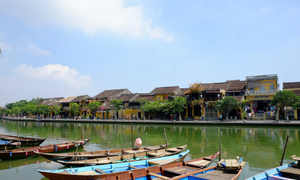 "The owner usually wears an ao ba ba (Vietnamese silk ensemble) and provides us with interesting details and stories about every single item. 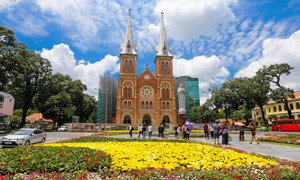 It has helped me know more about Saigon in the past, when it was called the pearl of the east," he added.